The system enables 360° omnidirectional scanning monitoring of all targets within 1 km. The system monitoring range can cover all directions of the two-way lanes, not only can detect real-time road condition information and traffic events, but also accurately identify pedestrians, animals, and debris. At the same time, the system also collects other traffic data of all targets and traffic conditions on the ground, including traffic flow statistics, average traffic speed, target latitude and longitude, incident tracks and etc. 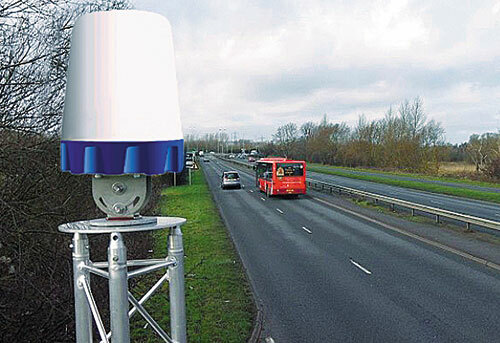 The monitoring scope of the system can cover the entire road surface, intersections, ramps, service areas and toll plazas. It can also set corresponding alarm rules and alarm types according to the actual highway owners' management requirements to meet the multi-directional monitoring needs.